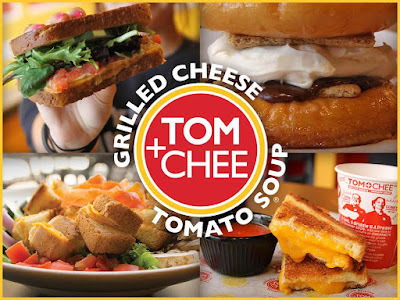 Savvy Spending: FREE $3 Credit to Tom+Chee Restaurant! FREE $3 Credit to Tom+Chee Restaurant! If you live near one of the Tom+Chee Restaurants listed below, you can get a $3 credit HERE! Just go here and enter your email address. Then download the Tom+Chee App and enter the same email address to log in. Your $3 credit will be in your account under "Rewards". Just use the App when you pay and you'll be able to use your $3 credit! Plus, you can earn more credit for referring friends to the App! After joining HERE, just share your own unique link! I'm so excited to try this place- I've heard great things about it and there is a new one near me!